In 2017, there were an average of 85 car break-ins per day in San Francisco. Car thieves only need seconds to break into your car. So Park Smart and take all valuables with you –from small items –cell phones and sunglasses– to bigger items –luggage and backpacks. Don’t tempt a car thief. 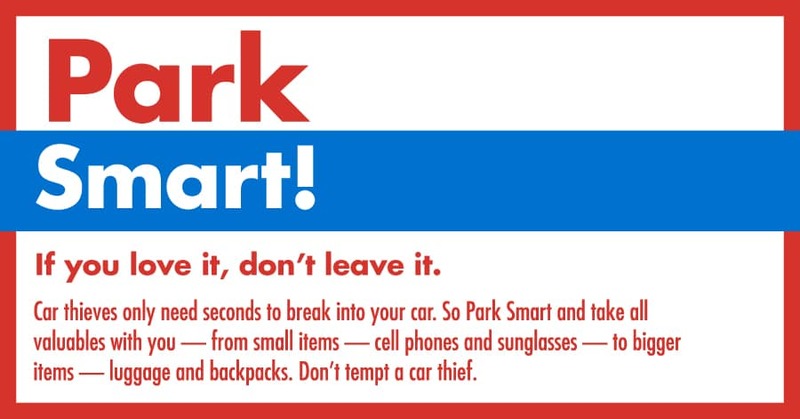 Help spread the word about not leaving valuables in your car.